It doesn't surprise me at all that Kaede would have some of those swimsuit photos of Barnaby; she's just too big of a Barnaby fangirl. And she definitely has a right to be angry: Kotetsu went into the room and went through her stuff without permission, and it's been a long time since she's seen him face-to-face. I'm a bit disappointed that their interaction during the earlier parts of the episode were very similar to that of when they talk on the phone. 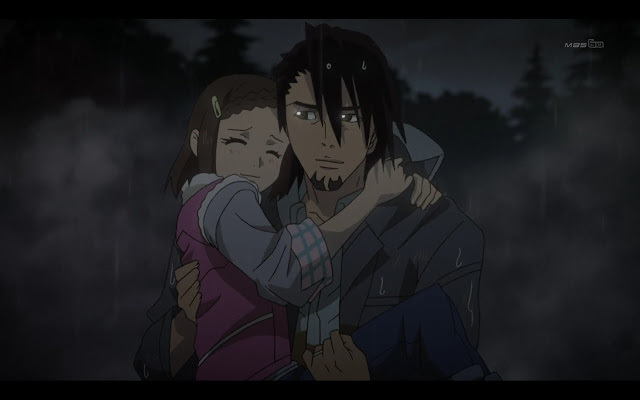 It just really shows how out-of-touch Kotetsu is with his own daughter. Oh, I also find it pretty funny that Kotetsu's mom is comparing him to her cabbage. Kotetsu's older brother is pretty cool guy. Despite this being his first appearance in the show, we can feel that his brother knows Kotetsu really well. 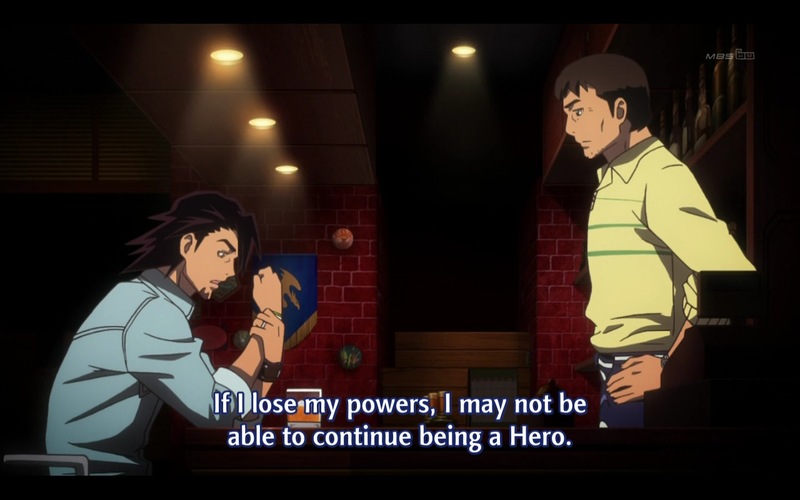 He's the only person aside from Ben Jackson to know about Kotetsu's power declining. Also, he understands Kaede's fear of loneliness a lot more than Kotetsu does. I think that Barnaby has a hunch that something might be going on, but he's really letting Kotetsu have some space. Just looking at this screencap makes me sad. He actually teared up like four times the entire episode. 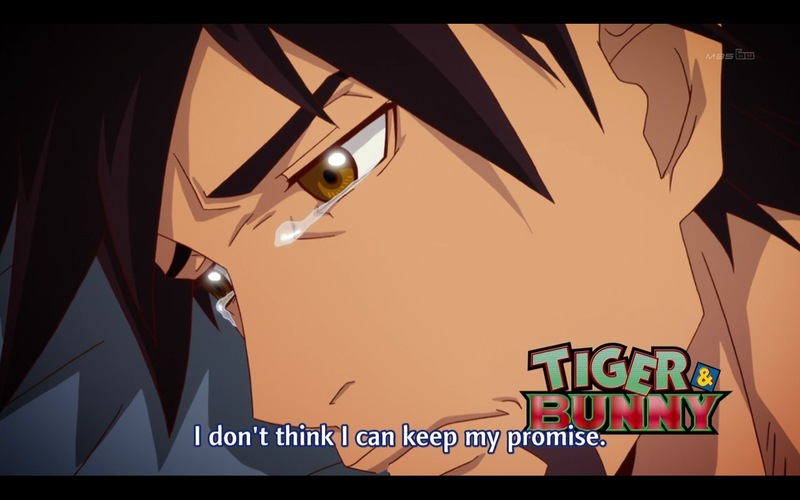 We can understand why Kotetsu is at such a loss when dealing with his declining power; the last words that he spoke to his dying wife was promising that he would always be a hero. He's definitely going to take the advice of Ben Jackson and his brother; there are other things in life aside from being a superhero. I find it pretty cool that he could use his hundred power to increase his hearing. This moment was really the defining moment of the episode: you don't need NEXT powers to be a hero. He realizes that he could always be Kaede's hero, with or without powers. This has been what T&B has been doing the entire show: taking something cliche, executing it very well, and making you like it. 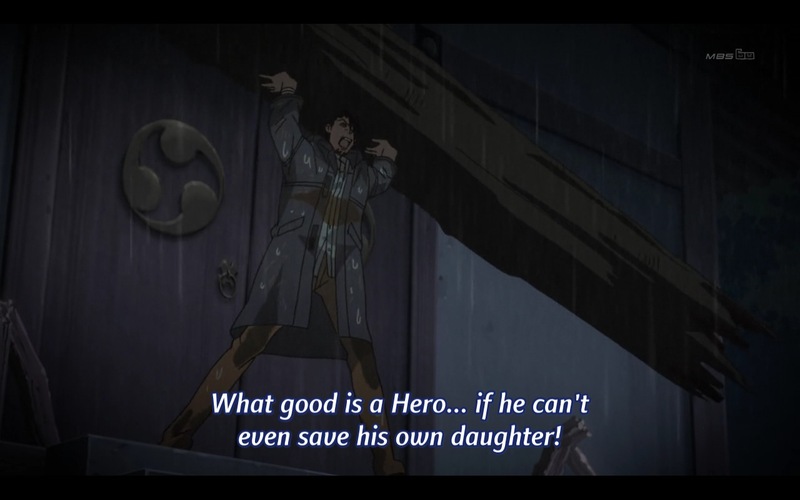 I wonder if Kaede knows her dad is a NEXT because of the blue glow she could see through the crack between the doors. We knew that many NEXT powers can develop at an early age, but Kaede having NEXT powers really comes as a surprise for me. 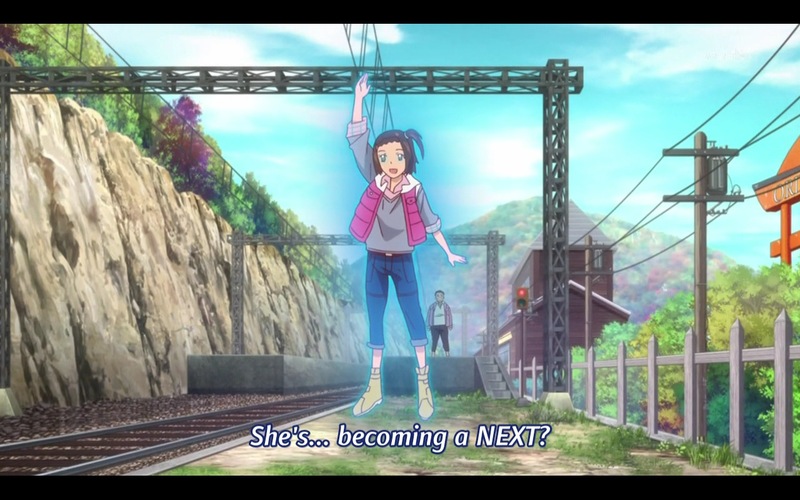 It seems that she has some power of levitation. It also looks like she has only recently developed it, since her grandmother calling her broke her concentration. 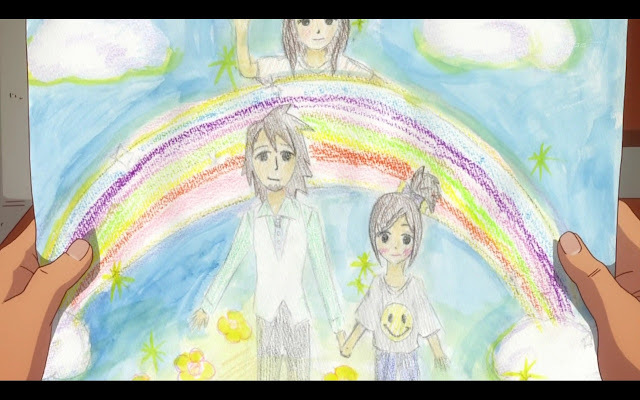 It was also nice to see some happy interaction between father and daughter. Overall, this episode was sad, yet happy, and was a nice break from the meat of things. Looking at the preview for the next week, it seems that his decision to resign won't be so easily accepted, as expected. 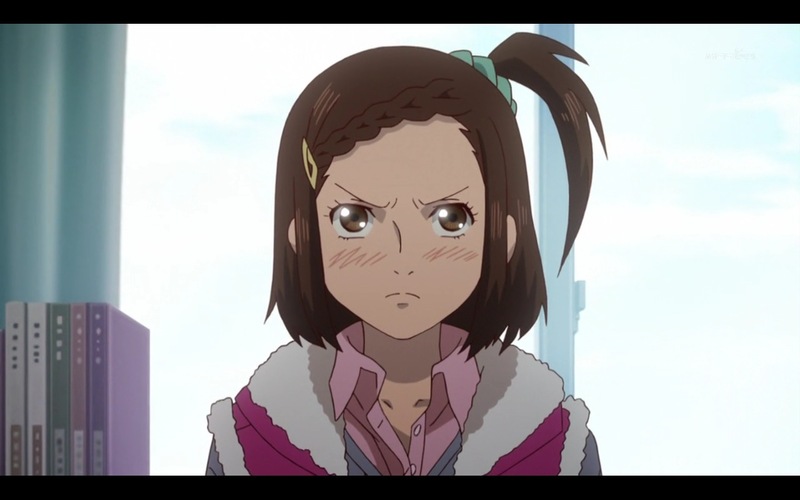 Kaede looks pretty mad; maybe she'll decide to come to Sternbild instead. And it looks like it's finally time to revisit Ouroboros, because it seems that Kriem is waking up from a coma and revealing something to Kotetsu and Barnaby. I'm thinking she says that Jake wasn't the one that killed the Brooks couple.